The smoking of cigarettes is a topic that has created a deep divide among those who smoke and those who don’t. We all know the health risks, yet many people continue to smoke. According to the U.S. Centers for Disease Control and Prevention, cigarette consumption kills more than 440,000 Americans per year, and second-hand smoke causes 49,400 deaths per year. According to legalinfo.ca.gov, smoking in most enclosed workplaces in California, including inside restaurants and bars, was banned in 1995. In April 1970, advertising of cigarettes and tobacco products on TV was banned in the United States, says druglibrary.org. And from the 1970s to as recently as 2010, laws have continued to be passed in the United States to ban advertising on tobacco products including from magazines and billboards, according to Wikipedia. It’s no secret that smoking in public places causes danger to smokers and those around them. When it comes to college campuses, smoking is just as much an issue as it is in other public places, and a lot more can certainly be done to help decrease the dangers of secondhand smoke. The University of California will begin enforcing a new rule next year, banning smoking on all 10 of its campuses, according to a recent Huffington Post article. The ban will be rolled out gradually, and the penalties for those who disregard the new policy are currently unknown, but it’s a step in the right direction. Obviously, the trend of banning smoking altogether is gaining momentum. 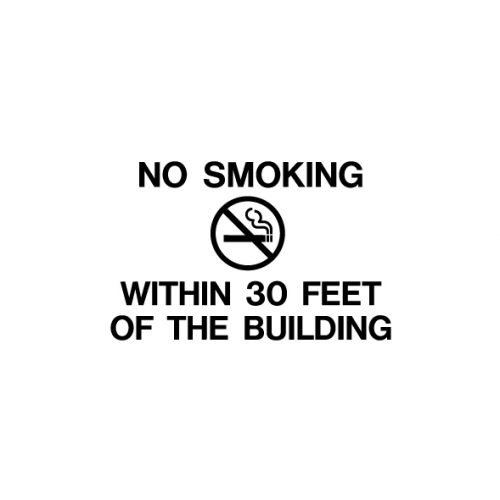 At City College, no smoking is allowed within 30 feet of many locations around campus. Those locations are indicated by signs, many of which have ashtrays underneath or nearby. On our campus, the issue of smokers spreading second-hand smoke and leaving the campus a mess with cigarette butts and ashes is just as much a problem as anywhere else. For the non-smokers the Express spoke to, the solution seems simple: Ban smoking altogether. To smokers the Express interviewed, the better solution would be to institute designated smoking areas around campus. According to City College Public Information Officer Amanda Davis, this is an idea the campus has considered. However, she says having designated areas can cause problems like safety concerns if, for example, smokers were forced to smoke in the parking areas. Cosumnes River College had similar concerns, but it has implemented designated areas and solved the issue of safety by keeping students who smoke out of the parking lots and putting them toward the back or the outskirts of campus instead, according to CRC Public Information Officer Kristie West. If smoking is banned completely, students who smoke will just go to the sidewalks surrounding campus, and that could lead to complaints from the residents in the areas surrounding the college or from city officials, according to Davis. Both solutions have their advantages and disadvantages for smokers and non-smokers alike, but even if no solution is reached and City College opts to continue enforcing current policy, at the very least, smokers should really try to practice some public-smoking etiquette. 1. Only smoke in areas that aren’t occupied by large groups of people. If there are a lot of people around, wait to light up until you are in a less-occupied location. This includes areas like the quad, under walkways or around classrooms on campus. 2. Never smoke indoors unless you have permission. That goes for e-cigarettes, too. Not only is it illegal in most places, in others, it’s against established policy, and you might be cited for it. 3. Always smoke away from open doorways. Smoke can travel inside buildings. Also, try to avoid smoking in close proximity to building corners because smoke can travel around corners and ll the faces of passersby with a giant cloud of potential lung cancer. 4. Never blow smoke in anyone’s face. Even smokers get annoyed by this behavior. In addition, try to stand so that your smoke blows downwind when in the presence of other people. 5. Try to avoid smoking while walking from one class to the next. Everyone walking behind you has to breathe in your excess smoke, and no one wants to do that. 6. Always use ashtrays. There is no excuse for leaving the campus full of yesterday’s melancholy. That goes for litter and other such things as well. Take pride in the college you attend and keep it clean. When it comes down to it, maybe doing something as extreme as banning smoking from college campuses completely is a bit harsh. After all, maybe designated smoking areas are an acceptable compromise. But until a better solution is found to deal with the problem of second-hand smoke in public places, the least smokers can do is to try to follow some of these tips to be more responsible members of society. You wouldn’t want the garbage man dumping trash all over you. In that same regard, non-smokers don’t want to bathe in exhaust. This entry was posted in Editorial, Sac City Express (SCC) and tagged Amanda Davis, City College, Kristie West, non-smokers, Sac City College, second-hand smoke, smokers, smoking, UC Davis, University of California. Bookmark the permalink.